We’d love your help. 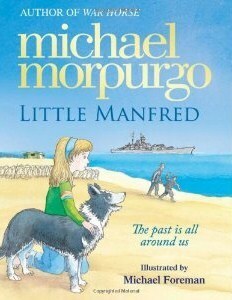 Let us know what’s wrong with this preview of Little Manfred by Michael Morpurgo. To ask other readers questions about Little Manfred, please sign up. why is this book so sad? I really enjoyed this. Little Manfred is a touching tale of friendship, war and a wooden toy dog. In the Imperial War Museum there is a wooden Dachshund. It was carved by a German prisoner of war in the 1940s. This is its story. Well almost. It's a story that captures the spirit of the true story though. In the summer of 1966, just after England's famous footballing victory against the Germans in the World Cup Final, a young girl, her brother and their dog encounter two men on the beach. One has a story to tell about the girl's mother from when she also was a little girl Review from Badelynge. In the summer of 1966, just after England's famous footballing victory against the Germans in the World Cup Final, a young girl, her brother and their dog encounter two men on the beach. One has a story to tell about the girl's mother from when she also was a little girl during the second World War. It's a story about friendship and kindness, both heart warming and tragic that begins with two German friends going to war on the fated German battleship Bismarck. 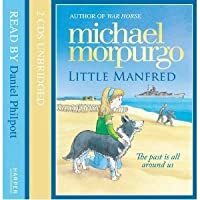 Michael Morpurgo tells a moving and nostalgic story, deeply shadowed by the conflict of nations but brightened by the hope and peaceful humanity of ordinary people. He's aided by Michael Foreman's beautiful sketches, brought to bright summer life by water colour. I'd say this would be ideal for the 8-10 reading age group but really I don't see why this can't be enjoyed by ages of any number. It certainly would be a great starting point for summer projects, perhaps investigating the untold stories of parents from when they were children. As the cover states, "The past is all around us." I love this author's books...he takes the simple details and creates fascinating characters, intriguing war stories, and ones that really stick in your mind. This sweet story had an amazing illustration and it's the perfect book for young readers bringing history through fiction. This is one of my favorite books, it has a special place in my heart. I have read this book three times now and I am addicted. Lets make it 4 or 5 times now!!!!! I read this to my son, Manfred. He found it quite frightening with all those sailors drowning. And I found the fact that the entire story is a flashback quite boring to read. I think it was also quite difficult, for my Manfred to understand. He kept asking who was talking and where are they and what happened. But we got through it and the ending with the little wooden dog ending up in the imperial war museum was nice. Heart warming book that offers children the opportunity the common held concept of ally vs enemy in war time, with the relatable figure of the toy and the real little dogs. Beautiful illustrations too. This book at times brought a tear to my eye. The only fly in the ointment for me was that it wasn't quite accurate in a historical sense but it was in all a very good story, however unbelievable. Includes: Afterword covering the Bismark particularly the last battle, German POWs in the UK, and The World Cup, 1966. Michael Morpurgo weaves a story through of friendship amidst trial, taking us on a journey through England (and Germany's) near history. Told in five parts he shows us the people who make us who we are. Part 1: Today - 1966. The World Cup Final is played with the final between England and Germany. Part 2: The Past - 1941. The Bismark destroys HMS Hood (only three men survived), and in turn is destroyed resulting in the deaths of more than 2000 men. Walter and Manfred are taken to the UK as POWs. Part 3: The War Ends - 1945. Repatriation takes a while. Walter and Manfred are moved and end up working as farm labour and to reclaim the beaches from mines and barbed wire. Part 4: Today. Marty and Walter revisit the farm. Part 5: The Future - 1991. Little Manfred is donated to the Imperial War Museum where he lives on as a symbol of friendship. A lovely snapshot of history, personalising events that are misting with time. We forget, sometimes, that that the enemy were not all evil. They had families. They were hurt. They cared, too. And friendships blossomed in unlikely places. We shouldn't forget the past but we also shouldn't let it colour our futures. Little Manfred is an interesting book that is written in the point of view of a girl, Charley. It is written by a great author, Michael Morpurgo. This author has also written many other interesting books such as the world famous War Horse. Some of the main characters are: Charley (Who tells this story), Walter (A war soldier), Manfred (A war soldier, friends with Walter), Alex (Charley’s “annoying” brother), Little Manfred (The dog, also known as Mannie). This book is mainly about a girl and her Little Manfred is an interesting book that is written in the point of view of a girl, Charley. It is written by a great author, Michael Morpurgo. This author has also written many other interesting books such as the world famous War Horse. Some of the main characters are: Charley (Who tells this story), Walter (A war soldier), Manfred (A war soldier, friends with Walter), Alex (Charley’s “annoying” brother), Little Manfred (The dog, also known as Mannie). This book is mainly about a girl and her brother playing on the beach at their farm with a ball, and meets two men, they do not understand them and then their dog kicks the ball and it goes flying and hits one of the men. That angers them a bit but they calm down. After that the men turn out to be really nice and then find Charley finds out that they know their mother. So the man (Walter) tells them a story about a war that happened a long time ago. That they become war prisoners and have to work on a far, and the people living on the farm have to give them a house to live in. In the beginning they are polite to each other but were not friends, but later they become friends. After the story ends they take the man home and they meet again (Walter and Grace, the mum). I think that Little Manfred is a really good book and it really expresses different point of view very well. This book is in 1st person is interesting and the author really understands how little girls such as Charley think because he did well at writing as he was a young girl. This book also writes in a way that you feel empathy for the characters, such as when you find out what happens in the war you get scared or feel sad for them. Also this book helps you understand the characters feelings; he expresses the feelings easily so the reader could understand. Also sometimes you actually feel like you are in the story and you feel what the character feels, it takes you feel you are “in the characters shoes”. I recommend this book very much. It’s a very interesting book, it is also not too hard to read but it is not too easy to read ether, the writing may look large but this book is not as easy as you think, I think that I would recommend this book from about grade 4 or 5 and above. This book is available in the secondary school library in the Overseas School of Colombo (O.S.C). I adore Morpurgo’s work; I have a number of his titles at home waiting to be read. When I received Little Manfred through the post I just had to read it. The story is set in 1966 just after England won the World Cup. Charley and Alex are playing with their collie “Mannie” on the beach and playing football. Alex kicks the ball too far and two older gentlemen kick it back. They start talking and they find out that the two gentlemen are German and were prisoners’ of war in the UK. Marty and Walter tell the children about the war and what they went through and then about a farm where Walter stayed. The same farm that Charley and Alex now live on. The story is told beautifully and the back-story of the little brown wooden dog with red wheels called Little Manfred is beautiful. I wondered if there is really a dog in the Imperial War Museum, where the wooden dog in the book is donated. In the Afterword it touched me that there really is a wooden dog and now I would really like to visit it. This is again another wonderful example of how amazing Michael Morpurgo’s work is. 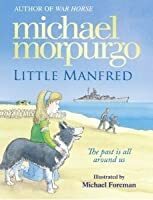 Young children could learn from this book about the Second World War, and if it touches them like it touched me I think that there will be a lot of visitors to the museum to see a little brown wooden dog named Little Manfred. Morpurgo inverts his trademark framing device in this children's story. It actually makes the transitioning better, in my view. Instead of an adult reflecting on the events of childhood, the plot unfolds through the eyes of Charley, a twelve-year old girl, who lives on a farm near the seaside. As in The Elephant in the Garden, it is a coincidence of name that draws two entirely different pairs of people together. Charley is followed to the beach by her young brother Alex and their dog, Little Man Morpurgo inverts his trademark framing device in this children's story. It actually makes the transitioning better, in my view. Instead of an adult reflecting on the events of childhood, the plot unfolds through the eyes of Charley, a twelve-year old girl, who lives on a farm near the seaside. As in The Elephant in the Garden, it is a coincidence of name that draws two entirely different pairs of people together. Charley is followed to the beach by her young brother Alex and their dog, Little Manfred. Manfred is named after a wooden dachshund of their mother's, a toy she protects strangely and fiercely. It's the summer of '66, just after England has won the World Cup at Wembley, defeating Germany. Alex is playing with a football when two men come walking up the beach. One of the men has a strange accent. He skims a stone into the waves and Manfred is after it in a flash. Charley can't get him back and is very apologetic when he finally returns and sprays water all over the men. But they are not upset... just curious about the name Manfred. 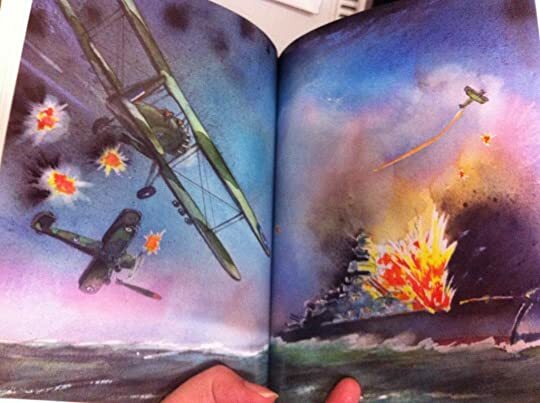 Little Manfred is a short children’s book about a German P.O.W. who is interned in England and who stays for a few years after the war to work on a farm. (This was not a choice, but a part of his punishment before being repatriated.) Many years later he returns to England to try to bring closure to his experience. To avoid spoilers, I will only say that Morpurgo has written a gem of a book, conveying the conflicting feelings of men in war (but in manner that’s not too overwhelming for children). Little Manfred is a short children’s book about a German P.O.W. who is interned in England and who stays for a few years after the war to work on a farm. (This was not a choice, but a part of his punishment before being repatriated.) Many years later he returns to England to try to bring closure to his experience. I really liked this book. i LOVED how we get to see what happened to the germans in WW2 and even though it is a cliche michel morpurgo read I think it was original. I also enjoyed the way little manfred is an actual thing in the Imperial war museum. I had one problem with it though. I didn't like the main character. The narrator was a child but I think she never had a personality or she was a bit receptive but she is a child and I have to give her some slack. Overall I rate this book 3.75 if I am I really liked this book. i LOVED how we get to see what happened to the germans in WW2 and even though it is a cliche michel morpurgo read I think it was original. I also enjoyed the way little manfred is an actual thing in the Imperial war museum. I had one problem with it though. I didn't like the main character. The narrator was a child but I think she never had a personality or she was a bit receptive but she is a child and I have to give her some slack. Michael Morpurgo never disappoints me. This is one of his shorter stories , accompanied by Michael Foreman's beautiful illustrations. 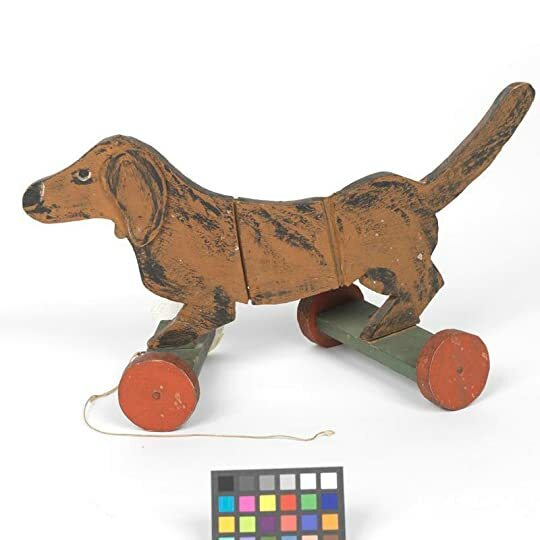 A brother and sister discover the story behind a wooden toy dog which belonged to their mother. As in many of his books, I appreciate the author's note explaining the background to the story. This book has an additional note by Michael Foreman, relating to the 1966 World Cup finale between England and West Germany. Like all of Morpurgo's books, this one contains animals, children and life lessons. I debated giving it five stars - it is a lovely story, with beautiful illustrations, but it annoys me a little that it isn't quite the true story of the little dog that now lives in the Imperial War Museum. Something like it...he was built by a German POW, and most kids probably wouldn't care to know the real story. This book was okay. I liked the way it showed how pointless wars are and all the pain they cause, and it was all laid out clearly for children. Not exactly my type of book anymore, for me it didn't move me enough or make me feel enough. It was just very slow and there wasn't terribly much to it. I liked the fact that it was historical but written in a fictional way. My nine year old daughter and I read this together and I really enjoyed the book and the opportunity to spend time with her and be able to explain several of the concepts in the book to her in more detail. This book is a lovely story about how friendships can come from the most unlikely places and transcend the rules of war. I loved this book, it was lovely and emotional because an old man finally saw Grace even though he didn't meet her four over 20 years. People who are reading my review I suggest that you go buy the book to read or read it if you have already purchased it because it is a lovely book and you could cry. Lovely story based on the true story of a toy dog made by German prisoners of war that is now in the Imperial War Museum. The kind of book I could imagine reading to a group of children and them all being completely gripped by it. 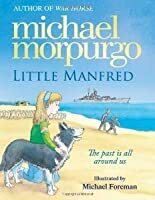 Little Manfred boasts an enjoyable story about World War 2, as well as a fascinating lesson about friendships. Morpurgo always delivers thought-provoking punches paired with lovely illustrations, by Michael Foreman, a man Morpurgo always uses for illustrations, and rightly so too! Michael Morpurgo is able to write apparently simple books which are actually many layered. This has stayed with me and I have been thinking about the issues raised. I think he is very good at dealing with terrible loss and the importance of relationships. I love the way Michael Morpurgo knits both reality with fiction throughout many of his books and this one is no exception. His books are wonderful reads whether you are a child or someone who refuses to grow up yet. I'm a huge fan of Morpurgo's and when I saw this new for $5 I snapped it up! One of the things I really love about Morpurgo is that while he mainly concentrates on English history, he doesn't exclude other participants in that history - this story for example centers on 2 German prisoners of war. A story based in the Second World War where two German prisoners of war go to live and work on a British farm after the war ends. There is a wooden dog carved by one of the men in the Imperial War Museum and this is the story of how it got there.